This is what I forgot to post last month due to the craziness of the holiday season. Now that the Christmas tree is neatly packed in its box, I have time to include these pictures in my blog. 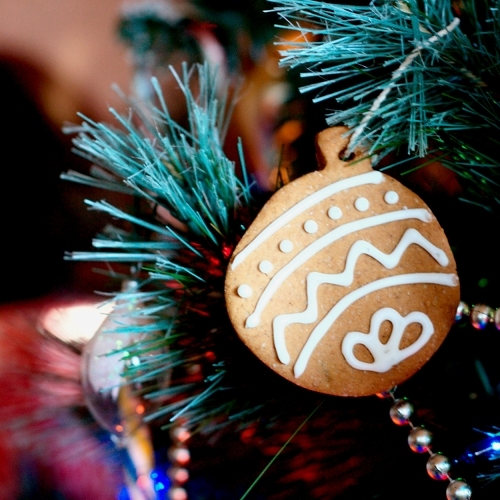 Every year, we have sort of our own Christmas tradition by baking gingerbread cookies and hang them on the Christmas tree. It's fun activity to do with the kids, they get to decorate their own ornaments, the tree looks fantastic, and the house smells absolutely incredible with all the spices. 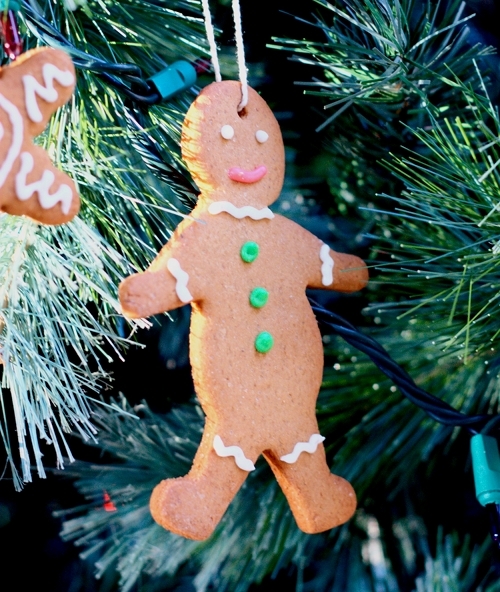 I use my beloved gingerbread cookie recipe (click here), make sure to poke holes in the cookies before baking so we can tie the strings later on. Cool down and decorate with royal icing. Important note: after the royal icing dries, leave the cookies uncovered (exposed to air) for at least 3 days before hanging them on the tree. The purpose is to let most of the moisture out of the cookies, leaving them completely dry, thus prevent them from falling off the tree. 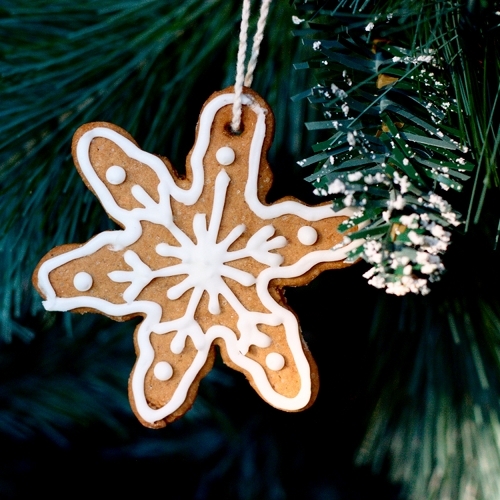 These ornaments are beautiful and probably really tasty!